Over the past week, Google began to delist many URLs from its search index. Google were notified of the issue on Friday after we saw an influx of complaints from the SEO community. SEOs, webmasters, site owners and developers were noticing a nice chunk of their web pages were no longer showing up in the Google search results. Their pages were being removed, and they didn’t know why. The sites’ traffic was impacted because those pages were no longer in Google’s index to display in search results for relevant queries. 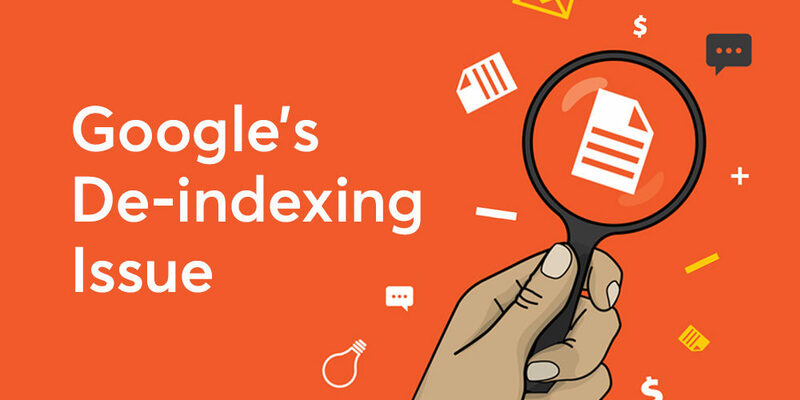 We do not know how widespread this issue was; we do not know how much traffic site owners lost over this bug; we do not know what percentage of the Google index was impacted.